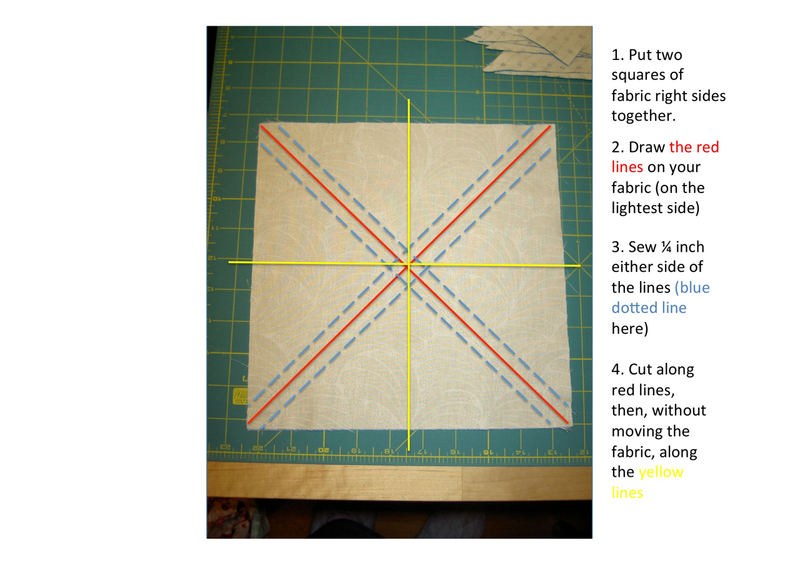 During a retreat, Ms E once showed us a nifty way to quickly make half-square-triangles (HSTs): sewing all the way around a square of two fabrics facing right sides together; and then chopping it twice diagonally. 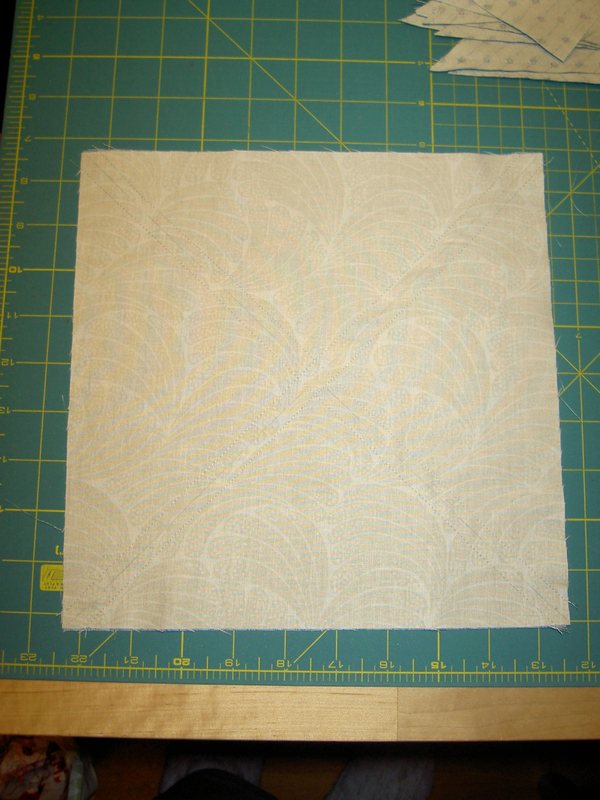 This was fast and fun, but the resulting squares had the bias of the fabric on the edges. So in the spirit of continuing to find easy ways to piece, how about this? I’m sure others have already invented this, but I am writing it down here partly for me to remember the sizes of resulting pieces. 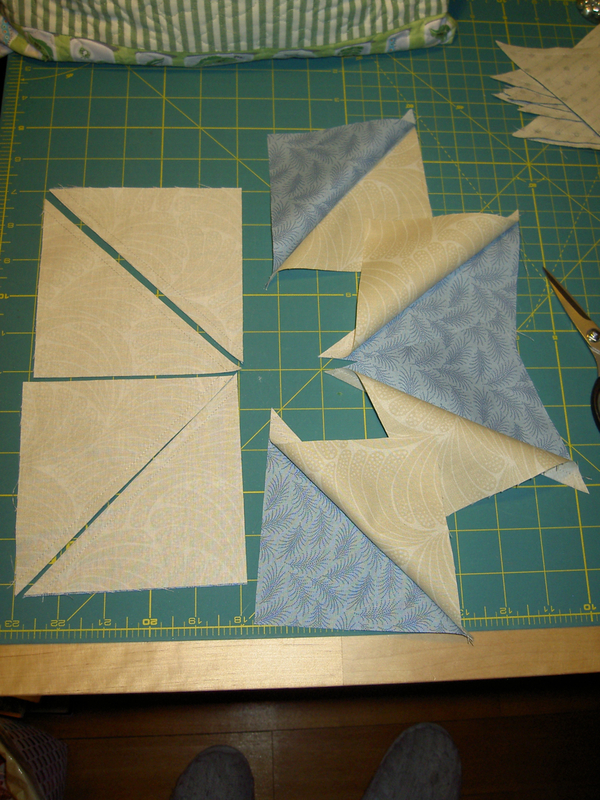 These are really eight beautiful HST, ready to be ironed carefully. 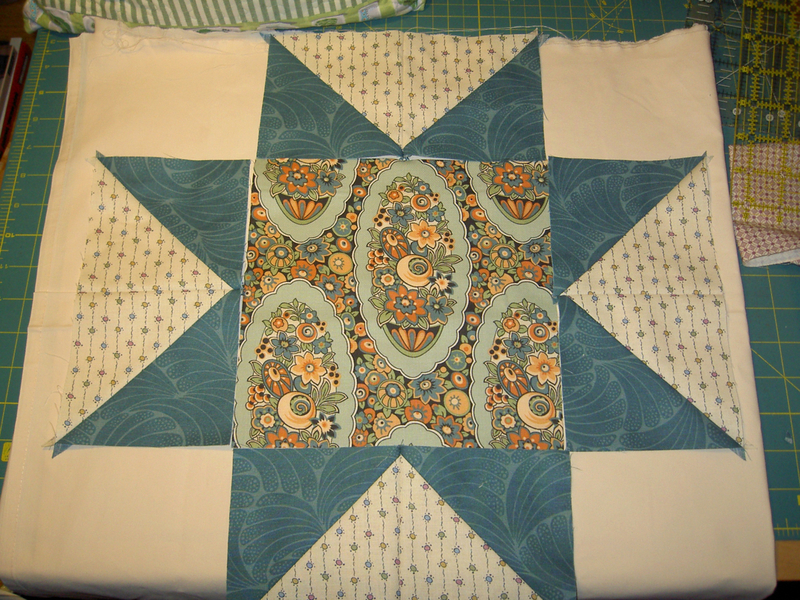 I iron the diagonal seams open as I find this shifts the bias less. But do what you wish. 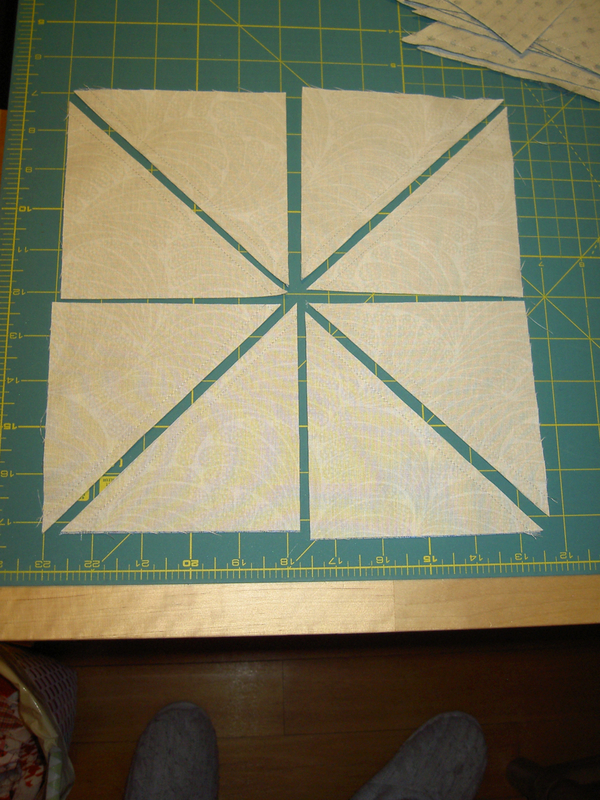 A ten-inch square makes 4.5inch HST (at least this is what I end up with, judging by the average size of these little chaps here!). Here’s a link that I saved. I think it is similar to what you are looking for. Have fun!